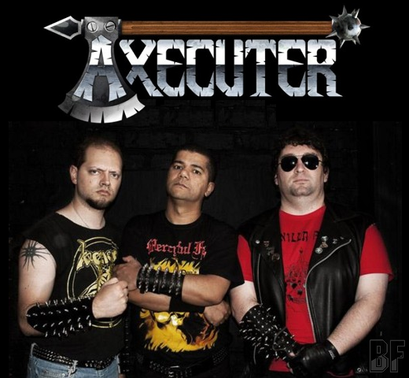 AXECUTER is a Brazilian Heavy Metal band, was created for incurable headbangers that live Metal in their daily lives. Although by all trends and new elements that are infesting our scene nowadays and AXECUTER is compromised to play heavy and fast Metal on its most traditional way, they are honoring and keeping alive the legacy of many Eighties masters. AXECUTER was raised by long-time friends who have been in the Metal scene for so long and always shared a true passion for Heavy Metal. The band started in February 2010, although some of the songs were written around 2001. Those three Metal Maniacs had played (and are still playing) in different acts and had also played together in different occasions. 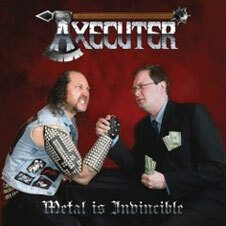 AXECUTER has released so far 2 EPs, "Bangers Prevail" (2011) and "Innocence Is Our Excuse" (2012). In March 2013, their first album "Metal Is Invincible" was released through Inferno Recoreds. If you have the best taste for Heavy Metal and if you are really into it, you should check out AXECUTER.